An internationally-recognized composer, Curtis Otto Bismark Curtis-Smith was born in 1941 in Walla Walla, Washington. 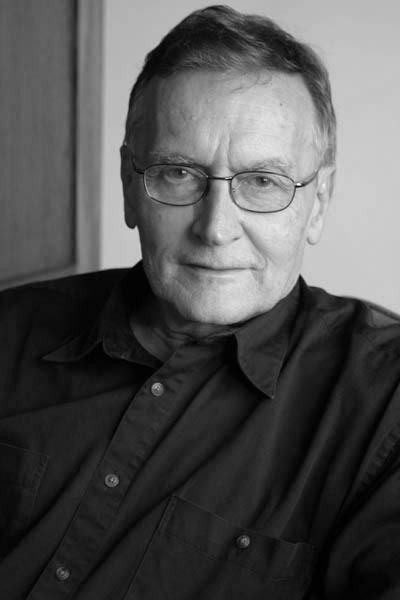 A longtime faculty member of Western Michigan University, he was the recipient of over 100 grants, awards, and commissions, including a Guggenheim Fellowship, the Koussevitzky Prize at Tanglewood, the Prix du Salabert, and grants from the American Academy of Arts and Letters, the Rockefeller Foundation, the National Endowment for the Arts, the New York State Council for the Arts, and commissions from the Barlow Endowment, the Harvard University Fromm Foundation, and a WMU distinguished Faculty Scholar Award, the university’s highest academic honor. Notable figures who have championed Curtis-Smith’s work are pianist Leon Fleisher and conductors Neeme Järvi and Dennis Russell Davies, who have performed his music throughout the United States and in Germany and Japan. He had a long and fruitful relationship with the Gilmore Keyboard Festival in Kalamazoo, Michigan, where many of his works received their premiere. Mr. Curtis-Smith studied at Whitman College with John Ringgold and David Burge; Northwestern University with Alan Stout and Guy Mombaerts; the University of Illinois with Kenneth Gaburo; and at Tanglewood with Bruno Maderna. In 1972, he “invented” the technique of bowing the piano, using flexible bows made of monofilament nylon line. This technique, exemplified in works such as Rhapsodies, has been used by other composers, including George Crumb. As a pianist, Curtis Curtis-Smith has appeared as a solo recitalist at the National Gallery and the Phillips Collection in Washington, D.C. Orchestral appearances include performances with the Indianapolis Symphony, the Seattle Symphony, and the Kalamazoo Symphony. In 1986 he premiered the last three etudes of William Bolcom’s Pulitzer Prize-winning Twelve New Etudes. He passed away October 10, 2014 in Kalamazoo, Michigan.